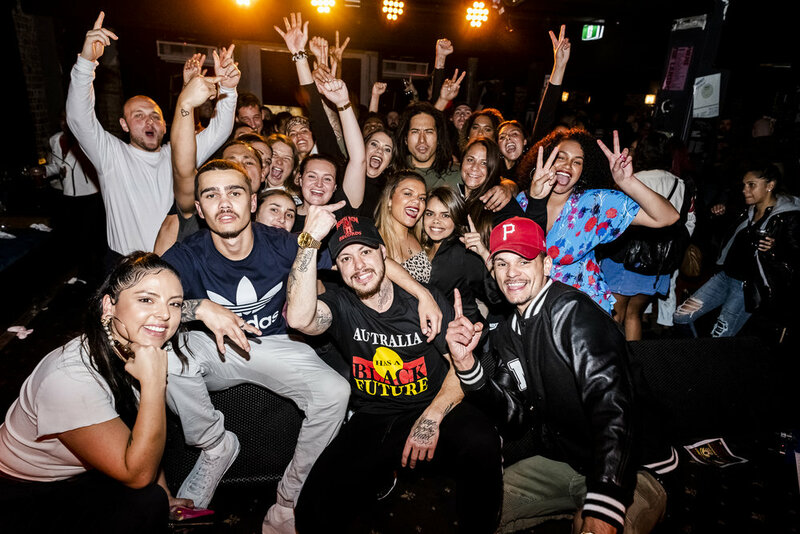 About 3 weeks ago I had the pleasure of heading down to the Lansdowne Hotel to capture the goodness that my homey Nooky had put together to celebrate all things BLACK FUTURE and NAIDOC Week. Nooky brought together a pantheon of young talent that showcased an undeniable array of the dopest music coming out. I've been to my fair share of hip hops gigs of all sizes over the years - from the back rooms of pubs to stadiums. And I have to say, this one was special! The vibes were electric and really incredible sense of family and community permeated the room and brought everyone together in a really powerful way. Check out all of the following artists to stay up to date on their projects! Check out my photos from the night! Click any image for a fullscreen gallery. DON'T FORGET TO TAG A BRO IF YOU ARE SHARING!